We've been in an ongoing study of the Good News Gospel of Grace. The Good News of Jesus and what He has done for us in the Finished Work. We've seen that this Gospel is about a relationship and not a religion. We've seen the reality of our righteousness in Christ. We've seen what it means to be a New Creation in Him. Today, I feel lead to share on a topic that sadly many ministries fail to mention. Today, I want to share with you the reality of the powerful Blood of Jesus. When was the last time you heard a minister preach on the Blood? What about a new book on Jesus' Blood? The Precious Blood of Jesus is the foundation of the whole Gospel. Without the Blood, there is no Redemption. There is no Righteousness. There is no Finished Work. There is no amazing Grace. Let me tell you the Good News. Jesus Blood is so powerful, beyond anything we can even fathom. This precious powerful Blood is more than enough to bring victory, triumph, and complete wholeness in every area of life. The Blood of Jesus has purchased our complete redemption. His perfect Blood purchased our complete redemption. This redemption isn't a downpayment. He didn't shed His perfect Blood and then expect us to continue to pay for our redemption by our own efforts and performance. This is a paid in full redemption. When Adam fell, he doomed mankind. We were under the dominion of sin and death. We were "owned" if you will by the enemy. We were "owned" by our sinful nature. The flesh wielded dominion over us, but Jesus came and paid a high price for you and me. To redeem means to purchase back, to buy back. He bought us back from sin, death and the enemy. By His Blood, He has completely paid for us. Jesus paid the highest price. He shed His perfect blood. He died for you and me. His perfect Blood was actually an overpayment. He paid for our sins past and present and future. Because of this redemption, we can walk in dominion and authority. The enemy, the flesh, and this world system have no more dominion over us. Meaning we don't have to do things their way. We can forgive when others do us wrong. We can show love when others bring hate. We can walk in freedom when they allure us to indulge in lust and unbridled passion. Because of this perfect redemption, purchased by the Blood, we can walk in dominion in this life. We have authority over depression. We have authority over fear. We have authority over the schemes of the enemy and his lies. The enemy fears those who know who they are because of the Blood. In the rare event tradition shares anything about the Blood it's usually to say we as believers are merely covered by the Blood. Because of this precious Blood shed we who received are perfectly cleansed and whole. We aren't merely covered by the Blood. We are totally cleansed by the Blood. To cover leaves the idea that the stain is still there but something is covering it up so it is not visible. Too often, under tradition, I still felt like a dirty rotten sinner. I felt if I blew it I was dirty and needed cleansing. Even if I hadn't sinned, I still saw myself as unworthy. Thanks be to God for the knowledge of the truth. Thank God for His Grace. The truth is His precious Blood totally cleansed us and made us alive in Him. His perfect Blood made us worthy. We aren't unworthy sinners whom God tolerates. We are made whole by this Blood. This is why we must reject these religious traditions. Seeing ourselves as merely covered by the Blood and not completely cleansed by His Blood, produces sin consciousness. It gives way to the concept that we as believers are mere sinners saved by Grace and not perfectly cleansed Righteous New Creations in Christ. We were sinners, we got saved by His Grace. Now we've been totally cleansed and are in perfect right standing. There is no shame, no condemnation, no accusation that can stand against us. We are pure and holy by this Blood. In Christ, through His shed Blood, we have perfect peace with God. We have perfect peace with God. We have peace with God in relation to His Law. True the Law was given to Israel and not Gentile nations but the Law is a representation of God's perfect standard of Righteousness, which is absolute perfection. No man can keep that standard. Because of this perfect Blood, Jesus perfection is ours. We trust in His faithfulness and never our own. Because of the Blood, we have peace from trying to keep the law in so much that we can now rest on Mt Zion versus struggling on Mt Sinai! Because of the Blood, we are free from the law. We are no longer at unrest trying to follow the commandments on stone that could only demand and never supply! We can also rejoice in this peace, purchased for us by His Blood, knowing God is not mad at us. How can we be in a relationship with one who is always angry and filled with wrath towards us? Jesus bore all the wrath and judgment on that Cross. God is not mad at anyone. God and I are at peace. In summation, be mindful of the reality of the power of the Blood. This precious Blood is essential to living the Grace life. Because of this shed Blood, we have perfect reconciliation. He is not holding our sins against us. We have a complete and perfect redemption. We are completely cleansed and whole. Perfect peace is ours through this Blood. As the old song said, this Blood was not just blood of another spotless lamb. 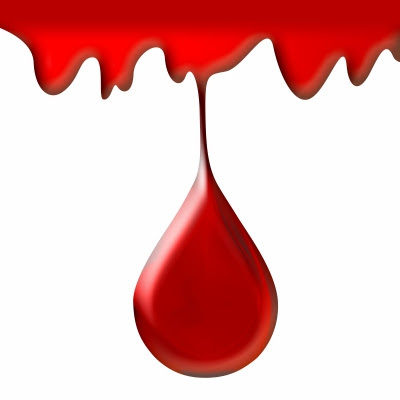 This Blood was precious Blood for it washed and cleansed the sins of man. This Blood still heals our bodies and sets our spirits free. This Blood is still flowing freely today!